I just learned about the death of Maureen O'Hara, the incomparable actress best known for her roles in the 40s and 50s. I best remember this beautiful woman in her beloved role of Doris in "Miracle on 34th Street," one of my all-time favorite movies. But it wasn't until I'd read her autobiography 'Tis Herself that I realized what an amazing life she'd led. As one reviewer wrote, "What a woman! A star in life and a star in films." 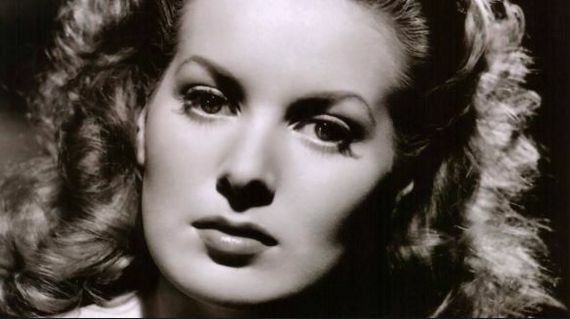 Maureen O'Hara was one of the last remaining stars from the Golden Era of Hollywood. May she rest in peace. Some of her work opposite John Wayne is hilarious, and I understand from a couple of interviews I saw her give that much of it was unscripted and spontaneous, which the directors then chose to keep. Farewell to one of the most beautiful, talented and genuinely good ladies of this age. There's a big party in Heaven today, for sure. I bought 34th last Christmas as it is a favorite of mine as well. My favorite actress, Oliva De Havilland shared on Facebook that Mrs. O Hara passed on. I felt a wave of sadness. Will anyone look back in 50 years and feel the same affection for the modern actresses that we feel for the Golden Era actresses? I really doubt it. I, too, cry when I see that scene...every time! Maureen was on the short list of names had the youngest been a girl. It is a happy day in heaven! My favorite actress. Her grace charm, beauty, spirit and talent will be missed. I loved her movies. It would be hard to pick a favorite, but "A Quiet Man" and "How Green Was My Valley" both come to mind. She was a real class act and knew what it meant to be a lady. You just won't find that anywhere in Hollywood today. John Wayne said that Maureen O'Hara was the finest leading lady he ever worked with, and she was a great guy too. Doesn't get better than that! 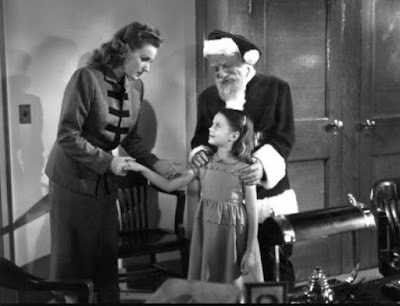 That scene posted here from the Miracle on 34th Street is not only really sweet because Santa can talk to her. When Santa asks the girl what she wants for Christmas, she answers nothing; she already has everything. Just in case someone didn't understand. There were no subtitles.